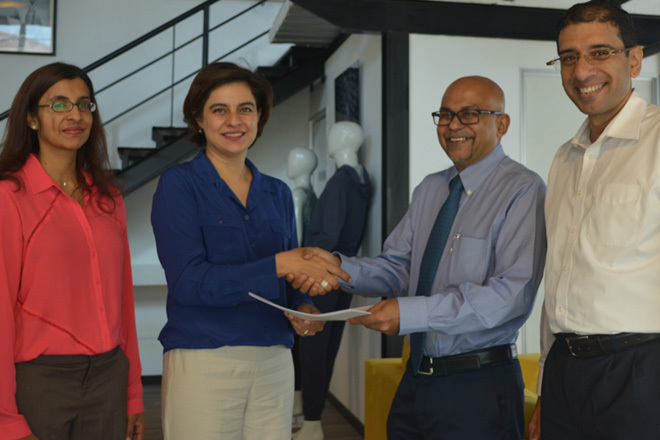 Aug 10, 2016 (LBO) – IFC, a member of the World Bank Group, has partnered with leading local apparel manufacturer Hela Clothing (Pvt) Limited to boost trade opportunities for Sri Lanka’s apparel industry through a trade-supplier finance facility. Hela Clothing is the latest apparel company in Sri Lanka to join IFC’s Global Trade-Supplier Finance program. Through this facility, IFC will provide a supplier-finance credit line to Hela Clothing against receivables from selected international buyers, providing working capital directly to the company. “Hela clothing prides itself in developing world-class products that establish the company as a trend-setter in the global market-space. IFC’s trade-supplier finance program will bring greater flexibility to our operations allowing us to continuously innovate and meet the evolving needs of the apparel market,” said Dian Gomes, Chairman of Hela Clothing. Supplier finance is a scalable and manageable way for suppliers in emerging markets to access affordable financing against receivables from customers. The product offers suppliers an additional source of flexible, affordable funding and may allow the buyer to negotiate longer payment terms or better prices. “As IFC’s portfolio grows in Sri Lanka, we are looking at new ways to support companies involved in vital export sectors of the country,” said Amena Arif, IFC Country Manager for Sri Lanka and Maldives. Established in 2010, the IFC Global Trade Supplier Finance program is a 500 million dollar multicurrency investment and advisory program that provides short-term finance to emerging market suppliers and small and midsize exporters. The program also helps banks that offer supply-chain finance to increase their presence in emerging markets. The GTSF program offers differentiated pricing based on the social and environmental performance of suppliers. Sri Lanka is a priority country for IFC. IFC’s committed portfolio in Sri Lanka is now 230 million dollars and covers projects across a range of sectors, including infrastructure, tourism, renewable energy, finance, and healthcare. IFC also provides advisory services to promote sustainable growth among small and medium enterprises by facilitating access to finance, and by offering capacity-building and training opportunities.